Classic Savory opened in Iloilo many months ago but we get to eat there just last week. We often neglected the said restaurant because we believed that it is just one of those chains serving “normal-tasting” grilled or roasted chicken. But a friend tipped the guy that their chicken is the bomb so we decided to finally eat there. I wanted to order mixed seafood broccoli since I am trying to avoid chicken dishes due to my pimple flare up but the guy said that it would be a waste to eat there without eating the specialty of the house so I agreed that we order chicken but I promised that I will only eat just a small slice. Do you think I was able to keep my promise? No, absolutely not! After eating one slice, my taste bud loved the feeling it got thus forcing me to eat more… and more. 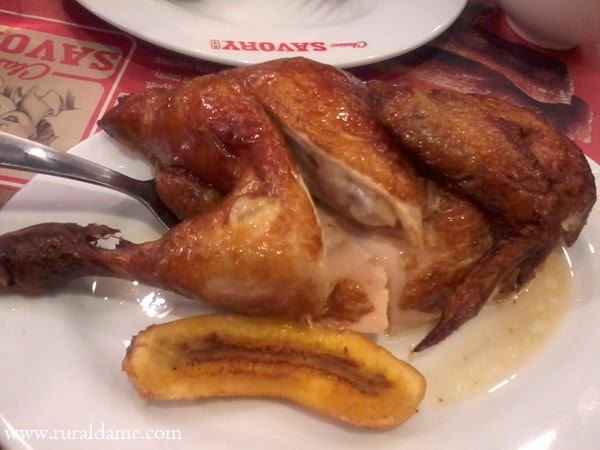 Their chicken is one of the best chickens I have tasted here in Iloilo - juicy, tasty and soft. If only I don’t get undesirable reactions after eating chicken, I’d definitely order it each time we eat there. 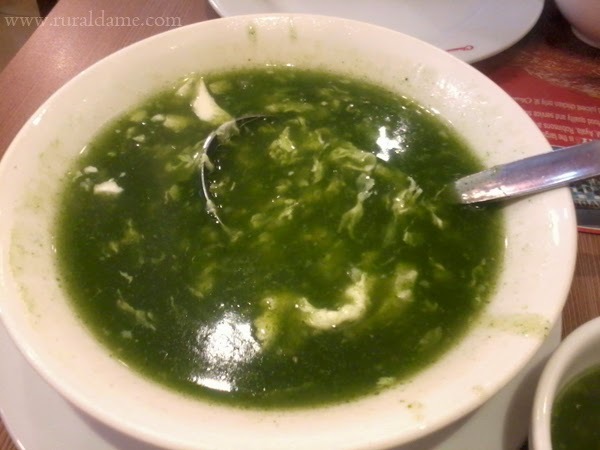 Another menu we ordered is spinach and seafood soup. The look of this soup can be deceiving! At first glance, the bowl looks like it is filled with mossy water that is likely to repel delicate and choosy eaters (I’m not one!) but after trying it, I’m pretty sure you’ll go back for more.